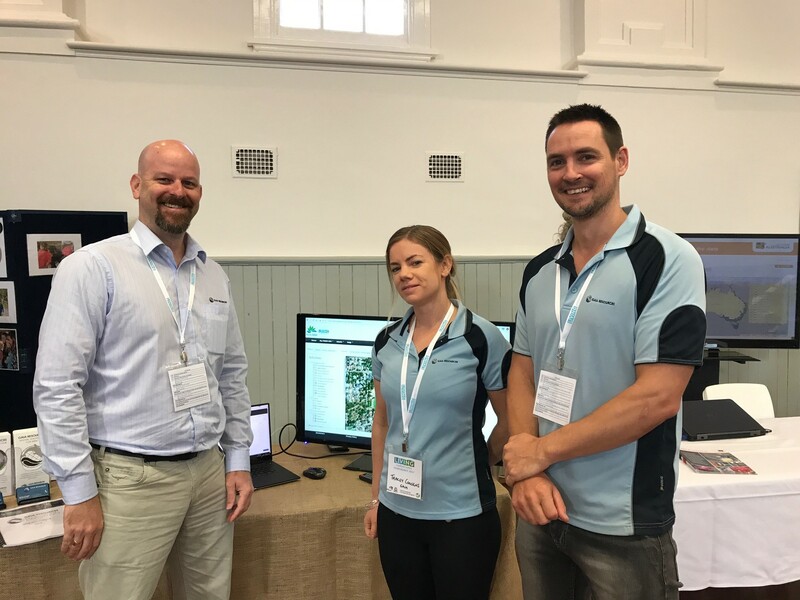 Yesterday, James, Tracey and I went to Perth NRM’s Living Landscapes conference, in our role in supporting Perth NRM and their rollout of their GRID system to their community groups. Perth NRM is one of our GRID clients, and they’re one of the first that has taken the step to open up GRID to the community groups that they work with to help with data collection and reporting. This was the big focus of my little talk; which is embedded below. The big announcement here is that the Perth NRM GRID instance will be available – at no cost – to the community groups that work with Perth NRM. We’re running training for these groups (who signed up at the little ‘trade stand’ we ran) in the near future, and we will be supporting the groups as they need it into the future. While we were at the conference, we also had a few other discussions with community groups, and got to listen to a range of interesting presentations, covering off on how community groups work through a whole range of different issues that they face – from peri-urban pigs, to equine landcare, to seed use in rehabilitation, and many others. The two keynotes – Lyn Beazley (a long time supporter of our work, especially with projects like Dolphin Watch) and Simon Cherriman (a very passionate ornithologist) were very inspirational. Apart from the audio-visual issues at the conference (which saw me ‘grab my cape’ and take on the audio-visual duties at the last minute) it was certainly a great first event in this vein for Perth NRM. It’ll be great to see how they build on it for next year!